Nestled among tall pines and oaks just south of the Big South Fork National Park, lies Historic Rugby, Tennessee; a British-founded village whose Utopian dream of a better life in America has never quite died. This is the story of the Rugby Colony- an aspiring Utopia. 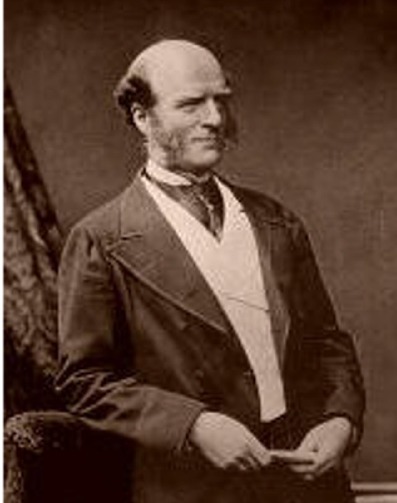 British author and social reformer Thomas Hughes, famous for his classic novel Tom Brown’s Schooldays, dedicated the Rugby Colony amid great fanfare on October 5, 1880. He envisioned this new community as a place where those who wished could build a strong agricultural community through cooperative enterprise, while maintaining a cultured, Christian lifestyle, free of the rigid class distinctions that prevailed in Britain. The idea for the colony grew out of Hughes’ concern for the younger sons of landed British families. Under the custom of primogeniture, the eldest son usually inherited everything, leaving the younger sons with only a few socially accepted occupations in England or its empire. In America, Hughes believed, these young men’s energies and talents could be directed toward community building through agriculture. The town site and surrounding lands were chosen in part because the newly built Cincinnati-Southern Railroad had just completed a major line to Chattanooga opening up this part of the Cumberland Plateau. During the 1880′s, Rugby both flourished and floundered, attracting wide-spread attention on two continents and hundreds of hopeful settlers from both Britain and other parts of America. By 1884, Hughes’ vision seemed close to becoming a thriving reality. An English agriculturalist had been employed to help train new colonists. Some 65-70 graceful Victorian buildings had been constructed on the town site, and over 300 residents enjoyed the rustic yet culturally refined atmosphere of this “New Jerusalem.” Literary societies and drama clubs were established. Lawn tennis grounds were laid out and used frequently. Colonists and visitors enjoyed rugby football, horseback riding, croquet and swimming in the clear flowing rivers surrounding the town site. The grand Tabard Inn, named for the hostelry in Chaucer’s Canterbury Tales, soon became the social center of the colony. The Thomas Hughes Public Library, with thousands of volumes donated by admirers and publishers, was the pride of the colony. Rugby printed its own weekly newspaper. General stores, stables, sawmills, boarding houses, a drug store, dairy and butcher shop were all in operation. During this heyday period two trains a day ran to Cincinnati, providing a link to goods, services, and entertainment for the Rugby colonists and the town’s many visitors. Press in both America and Europe carried frequent updates on the colony’s progress and problems. By 1900, most of the original colonists had left, many for other parts of America. Though Rugby declined, it was never deserted. Individual residents, some children of original colonists, struggled over many decades to keep its fascinating heritage alive, its surviving buildings and lands cared for and its story told. Interested in how the story of Rugby continued into the modern era? Read more about it under the heading History of Organization. The story of the village of Rugby continues!